Stage fright is no excuse at this karaoke bar because there is no stage. 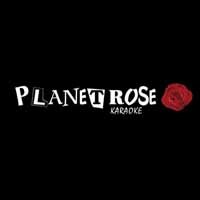 Planet Rose is New York's best and most unique karaoke bar. When the microphone is in your hand feel free to roam around as you belt out the song of your choice. Zebra couches decorate the room adding to the fun energy of the bar. It doesn't matter if you can sing or not, this karaoke bar is fun for everyone. Come early for a 2 for 1 happy hour or stay late. No matter what time you come karaoke is happening all the time. Whether you are having a private event or a night out, you will not be disappointed when you go home. Karaoke that everyone can enjoy! Complete with bright neon lights, Pulse karaoke is a hot spot in New York. 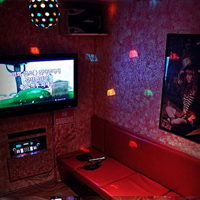 Enter this karaoke bar and spend the night singing your heart out. With six private lounges available to rent out, you can feel comfortable singing songs of all genres in front of just your friends. Those that are not too shy to sing in front of strangers can enjoy the bar that is open to the public. Watch as the state of the art LED light system syncs to every song that is played. 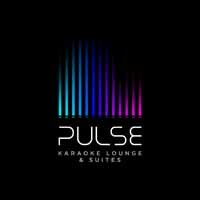 Whether it is to have a meal while watching others sing or to get up on the stage yourself, Pulse karaoke is sure to entertain you all night. Check out their website to make reservations for the private lounges! Food, sports games, but most importantly karaoke. That is what Iggy's has to offer. The New York bar is open 7 days a week with all sports games on all night for your enjoyment. Come relax and enjoy the big game while grabbing a bite to eat. But make sure you don't leave before 7:30 because that’s when the real fun begins. Every night at 7:30 pm the microphones come out in the back room of the bar and the singing starts. The floor turns into a dance floor and the night begins. Iggy's is a friendly location to go to and relax. Be greeted at the door with a handshake and get ready to make new friends. 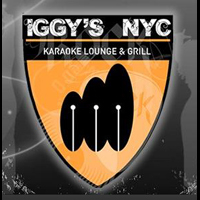 There is no karaoke bar that will help you relax more than Iggy's. Sound like a professional artist with the state of the art, fully computerized karaoke system at the BINY karaoke bar. Reserve a private karaoke room if you are too shy to sing in front of others and enjoy your night singing comfortably in front of just friends. BINY is a Japanese restaurant and bar whose name is an acronym standing for Best In New York. If you do not want to participate in karaoke, you can still enjoy the sushi and other food that is served at this bar. For all those participating, whether just watching or singing, enter the main dining room and get ready to sing the night away. With the Asian style decor that is used throughout BINY, you could not be in a better environment. There's a reason the name stands for best in New York. 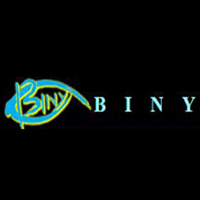 Check out BINY and find out for yourself. Call today to reserve your private karaoke lounge. When you walk into New York's Gagopa karaoke bar you are greeted by a retro 80's decor. Only private rooms are available where you will be seated on red leather couches. It costs $7 per person per hour to participate in karaoke at this bar. Hard liquor is BYOB but everything else is available at the bar. Songs in all languages are available to choose from. With such a wide selection of music to pick from, you are bound to have a great time. Enjoy an intimate karaoke experience with friends and family. Make sure to call and reserve a room today. Some rooms are bigger than others so don't wait too long to call!